Sometimes the smallest problems in life can be the most annoying. Cats that need safer ways down from high spaces. Missing sandals. A coworker who steals your lunch from the office fridge. Luckily, some people are born to solve them. They possess a mix of creativity and logic that improves even the smallest sticky situations. Check out some of their solutions. Cats are natural climbers and hunters that generally love high spaces. Unfortunately, some don’t always wander safely. They balance on railings, perch on cabinets, and work their way into high trees that they can’t get out of. 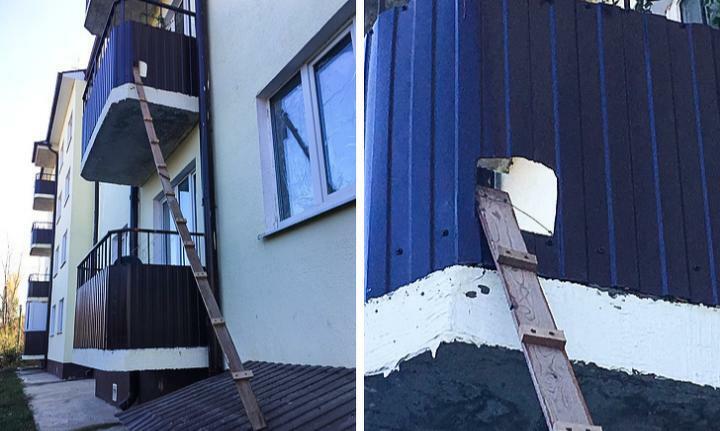 This owner made their own solution for their adventurous cat–a perfectly placed cat ramp complete with footholds. Everyone has experienced that annoying time when they need to fill a bucket in a sink that is just too small for the job. 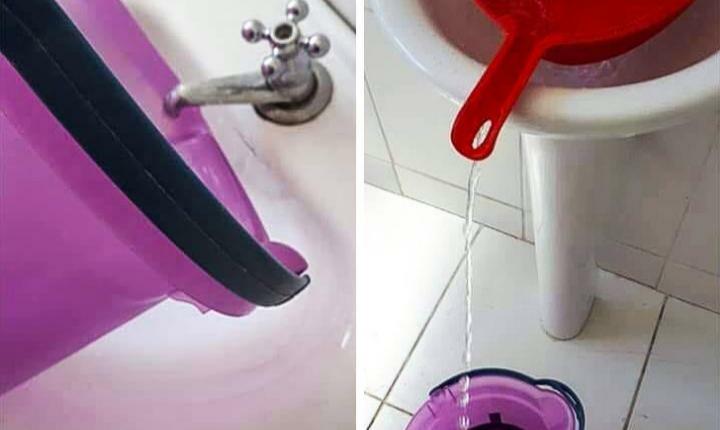 Finally, someone realized that if you place the bucket on the floor below the sink, you can use a dustpan with the right type of handle to fill it as high as you’d like. Genius! Binder clips can do a lot more than just hold papers and folders. They can be used to support cell phones and prop up computer keyboards so they sit at an angle and are easier to use. 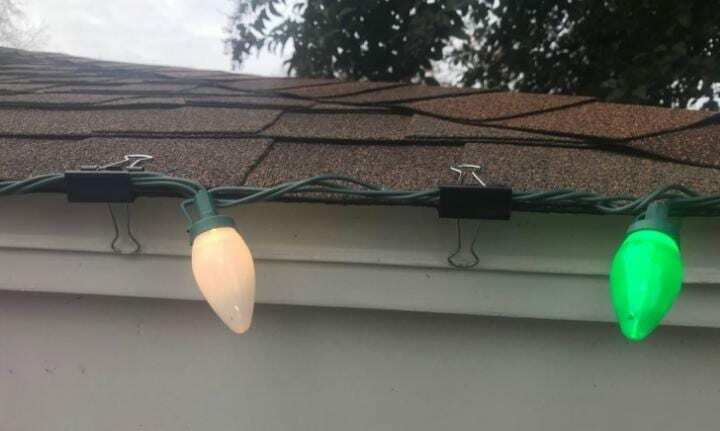 At the holidays, they are also the perfect tool to string lights to roofs, fences, and doorways. Better still — in January they just take a simple pinch to remove. Have you ever noticed how quickly single sandals seem to walk away on their own? Dogs take them, kids play with them, or they’re accidentally shuffled into a nearby closet or another section of the room. 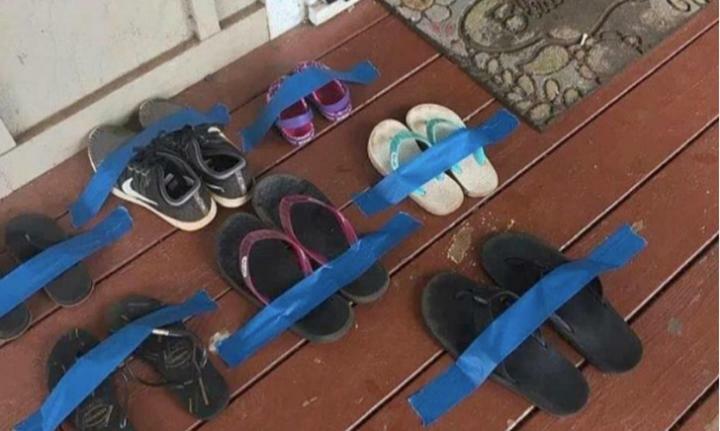 If you’ve had enough of missing single sandals, try taping them down with removable painters tape. Missing food from the office fridge is a huge annoyance for most workers. If emails or funny notes in the breakroom don’t solve the problem, maybe these custom-made baggies will do the trick. 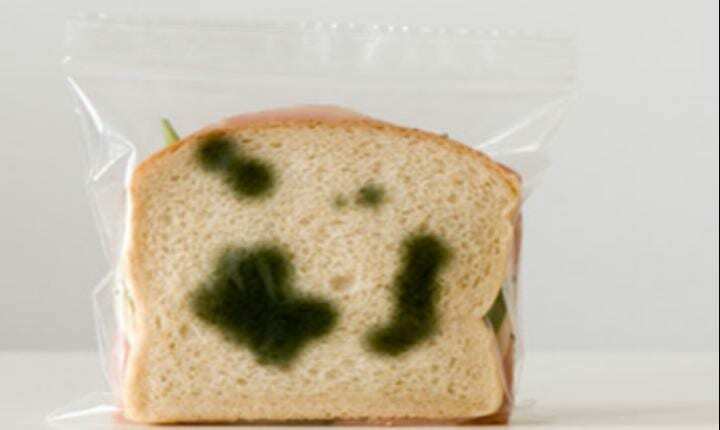 They’re designed to make a sandwich look like its full of mold so your sandwich the last thing the office thief would consider taking.